The question that arises is what was the motivation and utility of the Greek Prime Minister’s visit to Ankara? Peace is not built on hasty visits. It is even more difficult to build when the country effectively lacks a foreign minister (as the PM has assumed the portfolio). 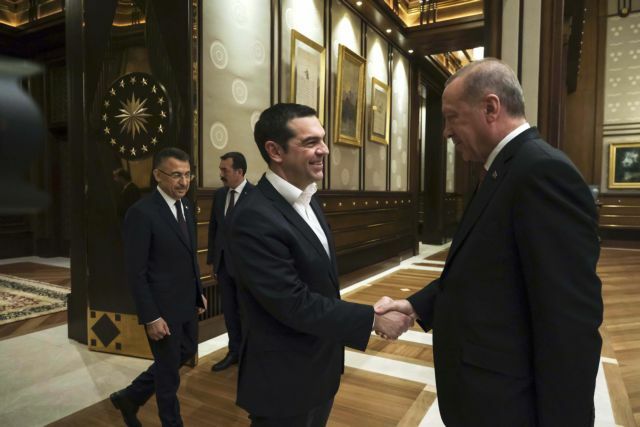 Prime Minister Alexis Tsipras could not but have felt uneasy when he learned upon his landing in Ankara that the country he was visiting had just a bit earlier declared a bounty of 700,000 euros on each of the eight Turkish military officers who had requested asylum in Greece. He could not but have felt uneasy about an action which demonstrated that his host, the Turkish President, did not adhere to the basic rules of hospitality and indeed did not exhibit a modicum of respect for his guest. Ta Nea in an editorial had underlined the dangers of a visit for which suitable preparations had not been made by delimiting the precise framework of the visit. These reasonable concerns were confirmed. Aside from the bounty, Ankara made clear that the agenda would include issues which for Greek diplomacy have been steadfastly non-negotiable. It would be at least irresponsible for Mr. Tsipras’ visit to have been motivated primarily by the image of the peacemaker that he may want to cultivate on the international stage. Peace is not built on hasty visits. It is even more difficult to build when the country effectively lacks a foreign minister (as the PM has assumed the portfolio) at a time when the presence of a seasoned and not ornamental foreign minister is needed.